Rowing is one of the best cardiovascular exercises but it is seen very often that indoor rowers as only good equipment for home gyms. They are affordable to most of the home users and are compact enough to be stored in a small space that is available in your home. Unlike the conventional treadmills that hurt your knees and joints on continuous workouts rowers lets you stay free from injuries. Get the best rowers over $1000 and you can put all your muscle to work. Best compact rowers come with many health benefits but they are different from the other equipment that you normally use so it will be a good idea to consult your doctor before getting yourself one. This will help you understand whether a rower is the best equipment for your body type. Generally, they are good for your heart, help in muscle building and are good for weight reduction. Other than these, there are many more benefits, which you will find out in this rowing guide. 1. Low impact exercise: The best type of rowing machine is a low impact workout machine. It is a good option for the people who are suffering from joint pain and also for the people who are trying to recover from the post knee surgery difficulties. Rowing involves one fluid motion that does not involve any kind of jerking or hard movements on your joints so it will not cause any harm on your body. People may mistake that these are only fit for low-intensity workouts when we say that they are low impact machines. They can be as useful for high-intensity training as much as you like it. 2. Upper Body Workout: The upper body can be worked upon largely using the rowers. Actually, rowing machines put more focus on your upper body. You can efficiently exercise your rhomboids (shoulders), trapezii (upper back) and lats (lower back) muscles. 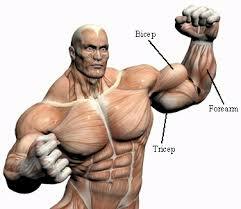 Those areas are primarily targeted but it is not just those muscles that usually are worked out. Your hands, wrists, arms, and biceps will also be getting a proper workout. 3. Lower Body Workout: Rowing machines are preferred by most people as the upper body workout machines but that is not true. It can do much more than that. It will also help you in working out your lower body. During intense workouts your quadriceps (upper front thighs), calves and buttocks are also getting worked out. As we know, leg muscles are large so if you work out that part more often then it will help you burn more calories. 4. Effective Cardio Workout: They are one of the best cardio machines available. So always, expect to pump up your heart rate with heavy workouts on the rowers. With the ability to adjust resistance levels you are also getting the capability to control your heart rate and your workout levels. Cardio workouts can bring many benefits to your body. This is not an exaggeration; with proper cardio workouts, you will definitely feel an improvement in your overall health. 5. Weight Loss: Rowing machines are very efficient in burning your calories. An intense workout on the rowing machines can burn around 600 calories in an hour and that is a good number because that calorie burning capacity is much more than other fitness equipment. With this capacity, you can always look it as a good companion to assist you in weight reduction. 1. Comfort: A comfortable posture on the rowing machine ensures a good workout experience. If you need to reap the benefits of the rowing machine, then you must be in a good posture too. For this, your seat position and the proportion of the machine must be relative to your weight and height. Check out the customer reviews and understand how they actually perform in real life or you can even visit gyms to check them out. Try out and find the best rower for your body. Buy Sunny Health & Fitness SF-RW5515 Magnetic Rowing Machine if you give importance to comfort. 2. Size: Since you are buying the rowing machine for your home gym make sure that your equipment will fit in otherwise you will be disappointed with a big device. Firstly, allocate some space for the machine and measure the space then match it up with that of the rowing machine and find out whether it will fit in. Always leave a space around the machine because you will also need space for moving your arms and legs. If you do not have much space, you don’t need to worry as there are foldable rowing machines available which can be stored in a very little storage space. Air/Fan Resistance: Flywheel in the front lets the airflow through them in the front. Water Resistance: Flywheel of these machines is immersed in water for adjusting the resistance. Magnetic resistance: The fixed resistance level provided by it can be adjusted by adjusting the lever. Hydraulic Resistance: Intensity of the workout can be adjusted by changing the resistance on the hydraulic piston. Check the best Hydraulic Resistance Rowing Machines review. 4. Rower, Seat, and Sliding Track: You are going to sweat a lot on your machine while working out in high-intensity training. So, the home rowing machine has to be strong enough to bear all the troubles you will be giving to it. They must be highly durable. Also, make sure that the length of the sliding track can accommodate the length of your leg. 5. Monitor Controls: The best rowing machines come with monitors that can display your heart rate, calories burned and may even allow for preset programs. If you are concerned about it, then go for an advanced monitor or else you can stick to the basic one. 6. Recognizable Brands: It is always better to go for popular brands as you will be able to get more info about them easily. Top brands that make rowing machines include Concept2, Stamina, and WaterRower. These rowers are efficient and perform up to your expectations. However, it is always good to stay updated with the new technologies introduced including new brands and materials used. It is always good to talk to a gym trainer or consultant, as they will have a better idea about the brands. 7. Price Range: You cannot always get the best rowing machine if it does not fit inside your budget. Therefore, what you need to find out is the best rower in your available budget. And, don’t think that you can’t get proper rowers at a cheap price. If you select carefully you might end up getting the best rower at an affordable price. 8. Warranty: The best rowing machines will be having a warranty of over 1 year on the product and 1-year labor warranty. If you get yourself, a premium machine then you will get longer warranties. As a conclusion, we can say that rowing machines are a daily fitness companion. They are not a magical device but can definitely help you in keeping your body fit every day. With proper training, you can expect to improve your muscle strength and body. There are many factors to look out for if you want to reap out all the benefits and we have talked about them in this review article. So, make sure to read the article well before going in search of the rower. Once you educate yourself about them, we are sure that you will be able to make a wise decision. Give thought to buying Concept2 Model D Indoor Rower. If your selection is good, then it will surely keep your body and wallet healthy for a long period. If you are getting the best rowing machine over $1,000, you will never regret the decision. Check out all the reviews before making the final decision as sometimes you might be misled by the advertisement that comes up with this equipment.